Among the list of established designers such as the late Alexander McQueen, Maison Maregiela and Nicholas Kirkwood uber talented Indian designer Manish Arora. 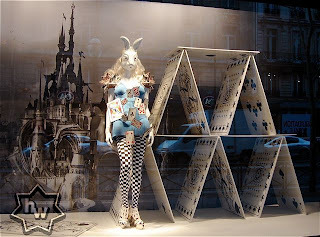 He was asked to create an Alice in Wonderland inspired window display for Parisian store Pritemps. 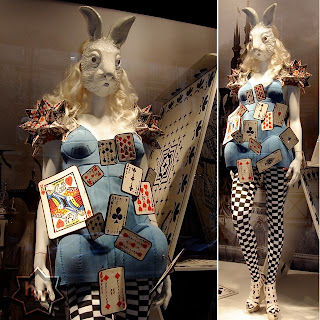 I am loving the cards on the dress!